Houses & Homes VA: How do your property taxes compare to the national average? How do your property taxes compare to the national average? For the first time RealtyTrac has done a comprehensive study regarding property tax rates in over 1,000 counties, states and metropolitan areas throughout the U.S. Aptly named the “U.S. Property Tax Rates Report for 2014” the study provides the actual as well as the average tax rates for single family homes. Based on the results the national average property tax rate is 1.29% but as you will see this can vary greatly from one area to another. Interestingly, the highest taxes are paid by those people at either end of the home ownership scale, that is to say the more expensive and least expensive homes. Homes valued at $50,000 or less paid an average rate of 1.68% while homes in the $1 million to $2 million range averaged a rate of 1.56% although owners of homes valued between $2 million to $5 million paid an average tax rate of 1.77%. Based solely on home value the lowest tax rate was for homes valued between $50,000 and $100,000 at only 1.4%. As you might expect, homeowners that have been around for more than 20 years have lower tax rates than others. 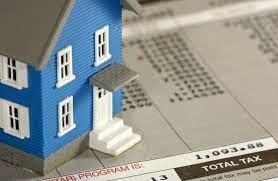 The average taxes for homeowners that have been in their homes between 5 and 10 years is 1.34%. 10 – 15 years was almost exactly the same at 1.35%. For new homeowners (less than 1 year) the average taxes paid are only 1.18% and for the 20+ crowd the average property tax rate is only 1.15%. It seems that the newest and the oldest homeowners are paying fewer taxes than everyone in the middle. It’s also interesting to note that although homes valued at $300,000 account for 25% of all single family homes nationwide, they account for 54% of the total property taxes collected. Here are the top 5 most expensive areas to pay property taxes by state and county. The 5 states with the lowest property tax rates are as follows.